Nominated as a World Heritage site by UNESCO, the former mining town of San Sebastian del Oeste is now a quiet mountain village located about 1.5 hours from Puerto Vallarta. With a personal guide, you’ll visit a coffee plantation, main plaza, and other highlights of the colonial town, with a stop for lunch (own expense). Private transport from your hotel or cruise port is included. Once you are picked up at your accommodation or the cruise terminal, you are driven about 1.5 hours in the comfort of a private vehicle to San Sebastian del Oeste. Considered an important mining town in the 17th century, the mountain village located 4,800 feet (1,463 meters) above sea level was designated a Pueblo Mágico, or Magical Town, and placed on UNESCO’s tentative list. The mines are long closed but the charm and beauty of the historical village, with only about 600 residents, remains. With your personal guide on hand, explore the local coffee plantation, where you can observe the entire production process — from the trees to the roasting of the beans — and sample organically grown coffee. A stop is also made for lunch at a restaurant (own expense). Visit the museum of Doña Conchita and learn the history of San Sebastian, then stroll through the main plaza and make a stop at the local church. Before you head back to Puerto Vallarta, your guide accompanies you to a historical treasure: Hacienda Jalisco. This former silver hacienda now operates as a bed and breakfast — a favorite hideaway for legendary film director John Huston as well as actors Richard Burton and Elizabeth Taylor. 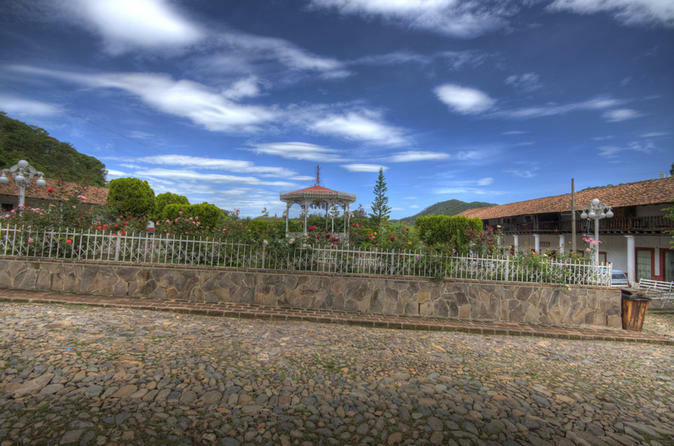 Take an informative guided tour of the hacienda and its museum before hotel or port drop-off.